As anyone who's traveled to Prague recently can tell you, the city is heaving with tourists. Old Town Square, Charles Bridge, Prague Castle, the secret is long out on Prague's appeal, and people from around the world have responded. That's great for residents who happen to own a restaurant or hotel, or have a spare room to offer on Airbnb, but what about the rest of us? 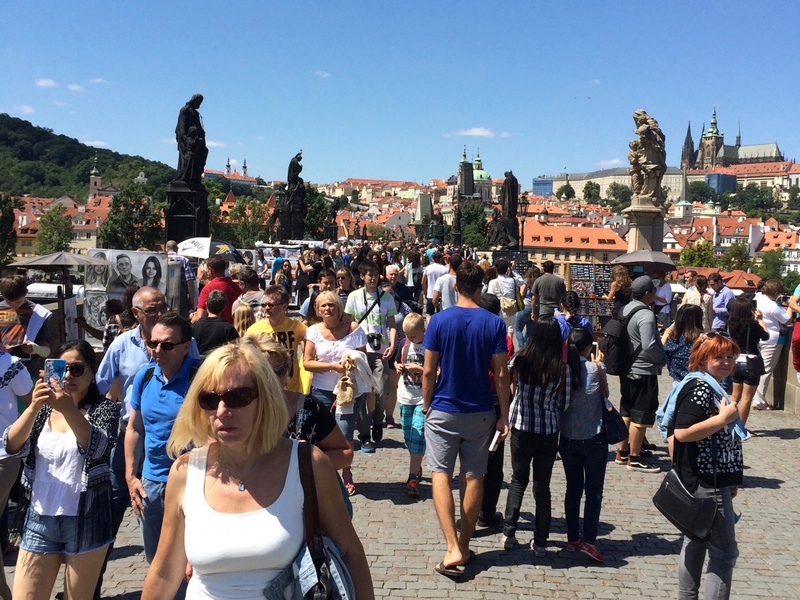 Meantime, as tourism surges in Prague, other popular European cities, like Barcelona and Venice, are starting to push back on what's being called "overtourism." Is Prague at the breaking point or just experiencing growing pains? Top Photo: Crowds of tourists are pictured here sitting outside the Prague Old Town Hall. Photo by Mark Baker. Posted in Diversions, Life In Prague and tagged Barcelona, Czech, Czechia, overtourism, Prague, tourism, Venice. 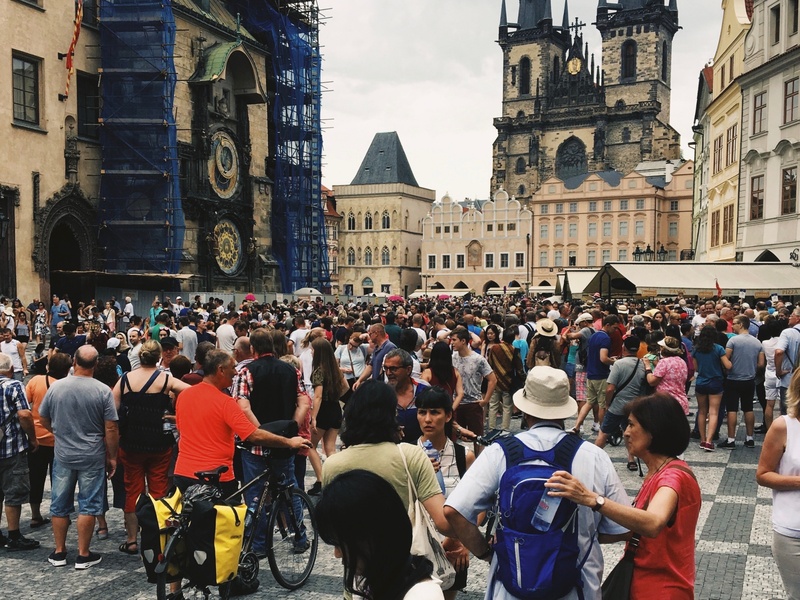 Tourists crowd into Prague's Old Town Square in the summer of 2017. Photo by Mark Baker. Visitors throng the sidewalks along the Vltava River, with Prague Castle in the background. Photo by Mark Baker. 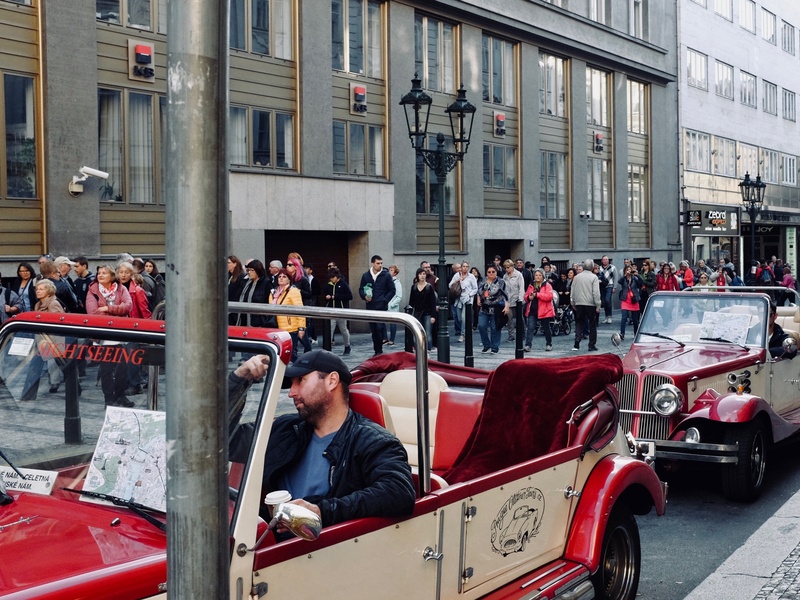 Oldtimer cars and a steady stream of crowds through Prague's Old Town on a typical autumn day. Photo by Mark Baker. 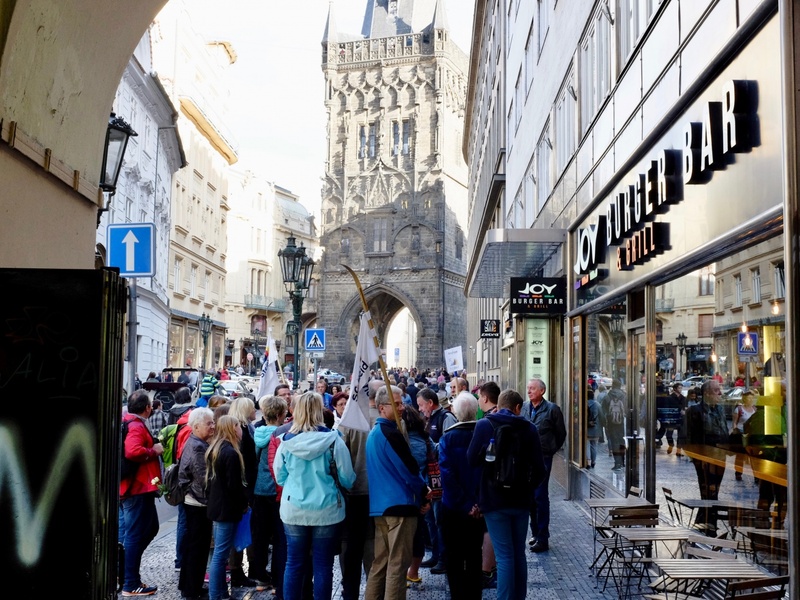 The approach to the Powder Tower in central Prague is heaving with tourists. Photo by Mark Baker. The influx of tourists to Prague each year continues to accelerate. 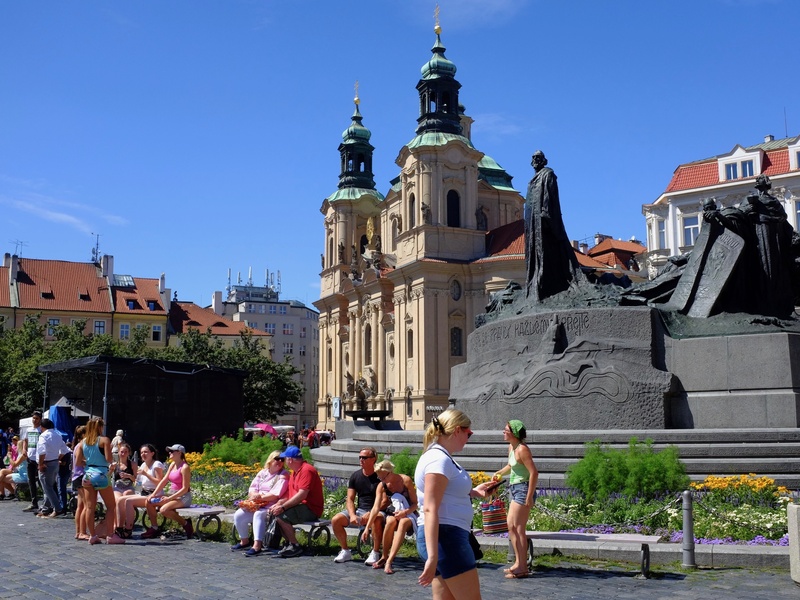 Through the first six months of 2017, the number of visitors to the city rose by around 11% from the previous year, according to Prague City Tourism, the city’s official tourist marketing agency. If that pace continues through the end of the year, more than 8 million people will visit Prague this year. And those are just the official figures, which are calculated on the basis of hotel overnights. They exclude “couch-surfers” and visitors staying in room-sharing services like Airbnb. No one knows for certain the real number of visitors to the city, but it could well exceed 10 million. Do the math and that works out to be something like eight visitors for every one of Prague’s 1.25 million residents. For many Praguers, particularly those who live or work in the center and have to deal on a daily basis with the excessive crowds and noise, that figure is now way too high. I talked to Barbora Hrubá, a spokesperson for Prague City Tourism, to put things into perspective. 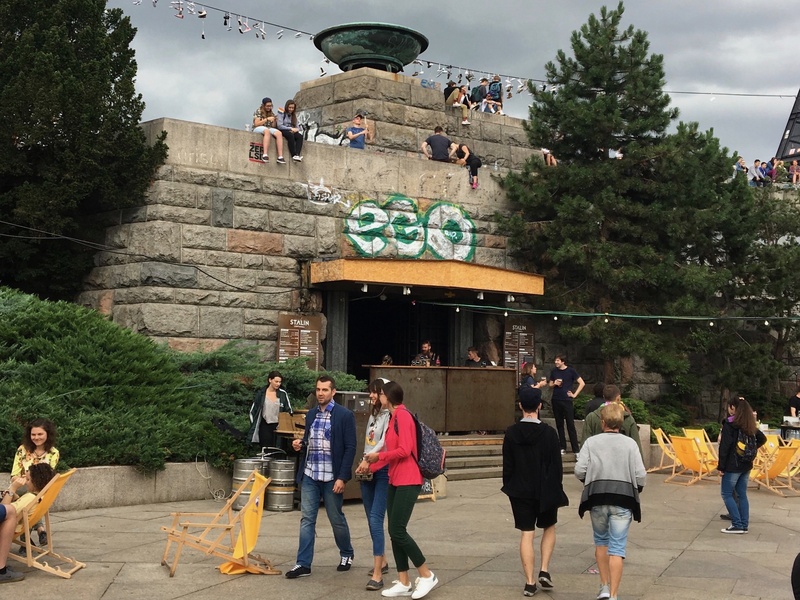 She says that the upsurge in visitors is not just happening in Prague but is taking place in popular cities around Europe. “The structure of the way people travel has changed,” she says. “In the past, people would typically take a two-week holiday. These days, a four-day city break is much more common.” Add to that the explosion in the number of low-cost budget flights and cheap apartment-shares through services like Airbnb, and travel is accessible to just about everyone. This rapid growth in tourism has had some ugly consequences this summer for Prague’s peer cities in Europe. In Barcelona, for example, radical groups in August (2017) slashed tires on sightseeing buses and vandalized some rental-bike outlets. The message for visitors was clear: “Tourists Are Not Welcome.” In the Italian port of Venice, around 2,000 residents took to the streets in July (2017) to protest the rapid increase in tourism there, where an estimated 28 million visitors – mostly day-trippers from giant cruise ships – choke canals and alleyways. 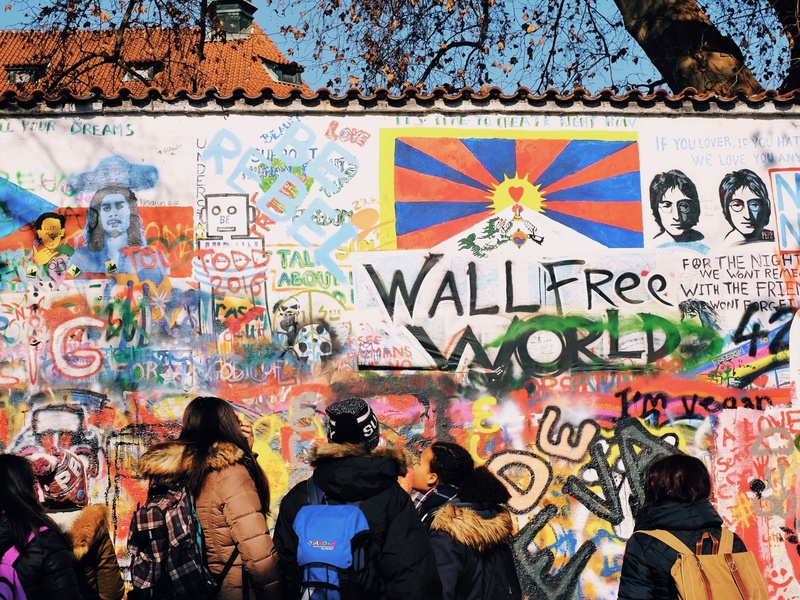 The Lennon Peace Wall remains a popular tourist draw. Photo by Mark Baker. 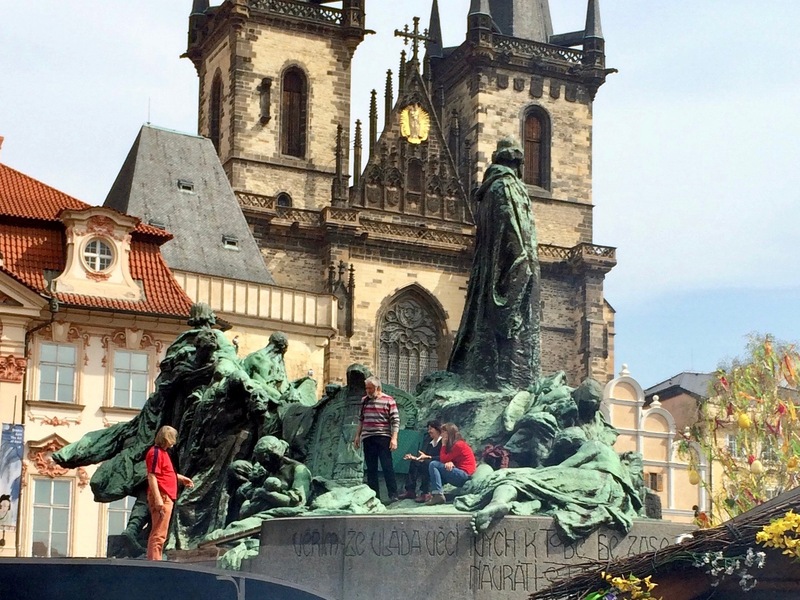 Unruly visitors climb on top of the Jan Hus statue on central Old Town Square. The Tyn Church is in the background. Photo by Mark Baker. Charles Bridge pictured here on what was a relatively "quiet" day in summer. Photo by Mark Baker. While no one is yet predicting demonstrations or an outbreak of antitourist violence in Prague, the question remains whether the city is now suffering from “overtourism.” In other words, has the number of tourists reached the point where both the quality of life for residents and the quality of the experience for visitors have deteriorated to unacceptable levels? That’s hard to answer with certainty. The term overtourism has become a buzzword among tourist officials, but the concept itself is still poorly understood. 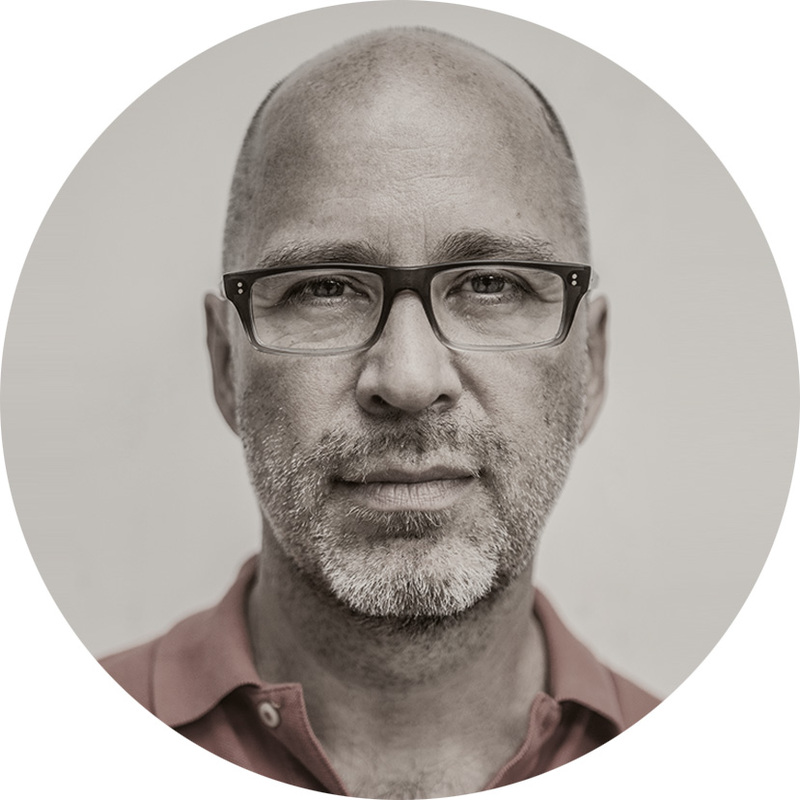 To get an idea of what overtourism means in practice, I contacted Jason Clampet, the editor-in-chief for Skift.com, a U.S.-based news and research company for the travel industry. He says that contrary to popular understanding, overtourism is not strictly a numbers game, but rather the situation differs from city to city. He says in addition to looking at the increase in the number of tourists, you also have to look at where people are going when they get to their destination. By that standard, at least, it seems obvious that parts of central Prague, including the Old Town and Malá Strana, directly across the river from the Old Town, are suffering from classic overtourism. By day, large groups of sightseers, numbering well into the hundreds or thousands, choke the side streets, while Segway and e-bike tours push people off the sidewalks. Cheap souvenir shops, phony galleries, and rip-off exchange booths line the streets. Convenience stores selling alcohol or cigarettes are a common sight, but serious grocery stores that cater to residents are few and far between. It’s a wasteland. Crowds mass atop the former Stalin memorial at Letna park, high above the Old Town. Photo by Mark Baker. Taking a break at the Jan Hus statue on Old Town Square. Photo by Mark Baker. 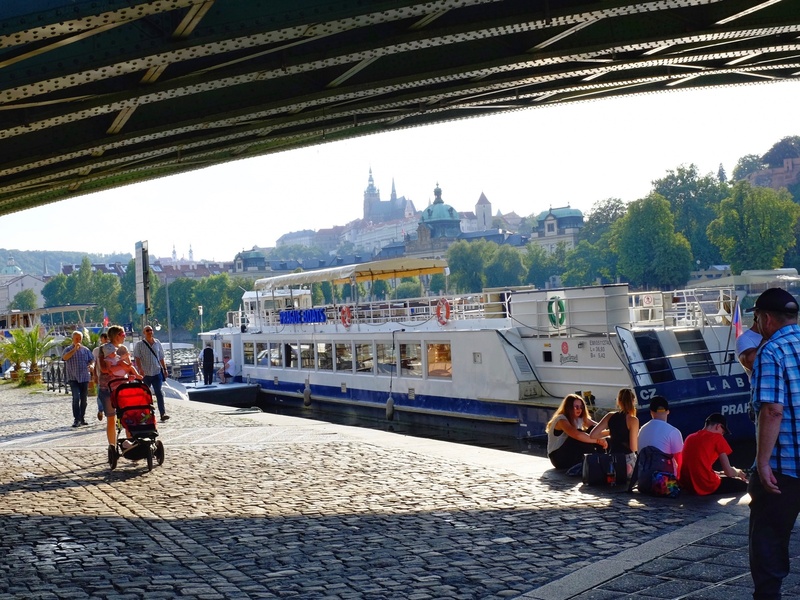 Boat rides on the Vltava River have become highly popular in recent years. Photo by Mark Baker. It’s not clear, though, how realistic the plan is. Hrubá herself concedes that first-time visitors will always be attracted to classic central sights like Charles Bridge and Old Town Square. 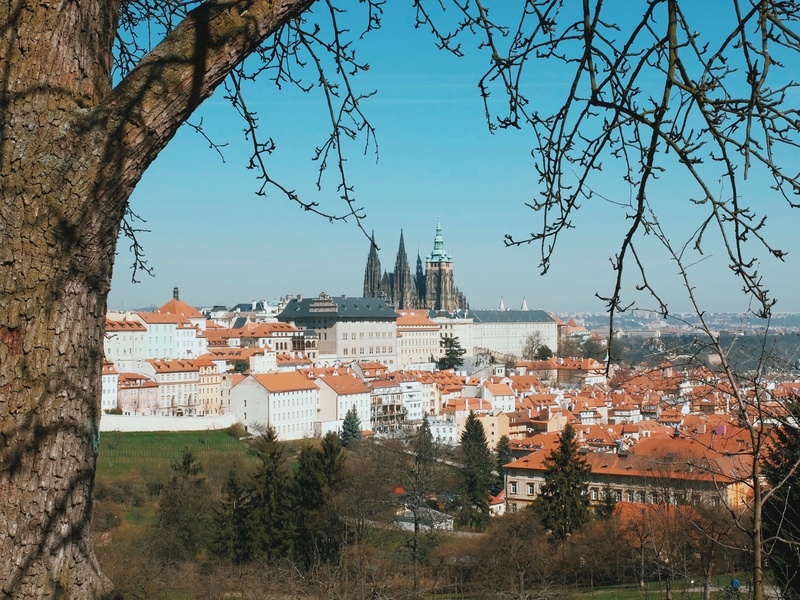 Even if efforts to redistribute visitors are not as successful as hoped, Prague residents should not expect drastic measures to restrict tourism any time soon. The hard fact remains that more than a quarter century after the fall of communism, Prague has become addicted to the million of euros that tourism brings in each year. The narrow streets of Prague's Old Town. Photo by Mark Baker. The city's beauty is both an asset and a curse. Photo by Mark Baker. The view of Prague Castle from the usually peaceful Petřín gardens. Photo by Mark Baker. 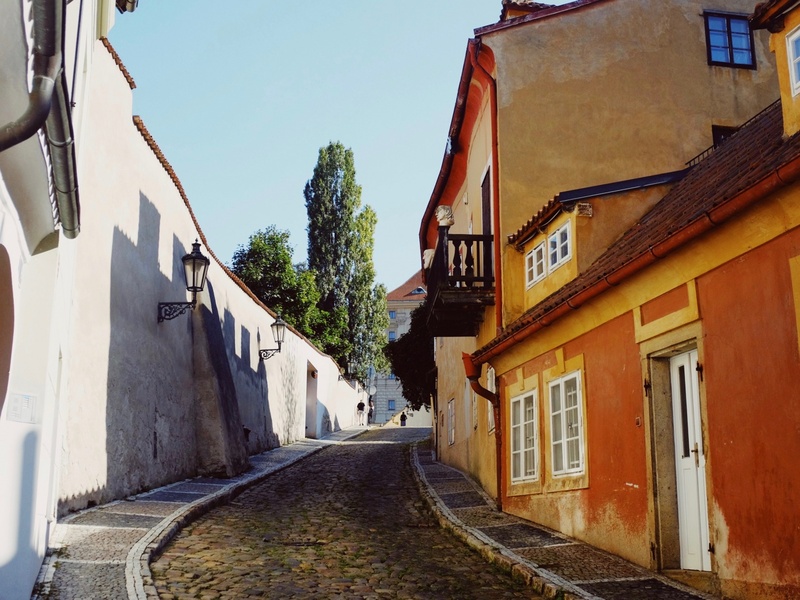 One of Prague's quietest and most picturesque streets: Nový Svět. Photo by Mark Baker. I was surprised by the number of clicks this post received in the days after it went live. Linkedin’s (https://www.linkedin.com/in/markrfe/) metrics alone show almost 2,000 views in the first couple of days. I think this shows how concerned people are about tourism levels in Prague. The post also caught the eye of Craig Turp, the editor-in-chief of “Emerging Europe.” Craig contacted me for some follow-up comments that later appeared in this article: http://emerging-europe.com/regions/czech-republic/prague-new-face-overtourism/. 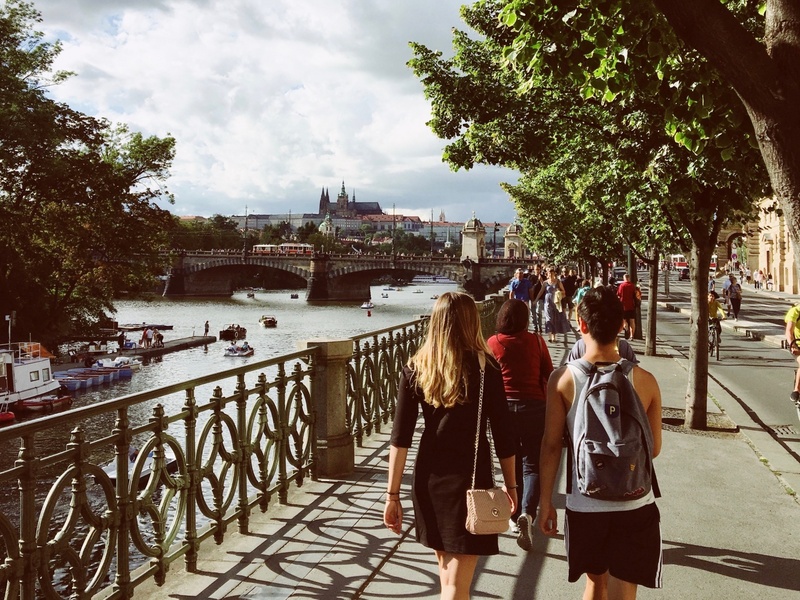 The article accurately reflected my personal view that Prague has a potentially serious problem with overtourism and that some areas in the center of the city have already reached critical levels. But some of the nuance of my viewpoint may have been lost and given the mistaken impression that tourist authorities here are somehow completely oblivious to the dangers of overtourism. To set the record straight, when I used the phrase “the tourist authorities do not appear too concerned about the growing numbers,” I meant that officials are not yet to the point where they are jumping out of the windows in panic. From my own personal conversations, I know that the authorities are well aware of the potential negative impact of overtourism and, as a response, are trying to promote other parts of the city as alternatives to the center. Whether this plan can succeed or not is an open question, as there is only so much any one agency or authority can do to regulate visitors in a free society. To anyone thinking of coming to Prague on their vacation, I would say not to let all of this dissuade you. If you avoid the major holidays (like Easter), travel outside the peak summer season (which is both crowded and too hot to enjoy), and divide your time between the center and other parts of the city, it’s still possible to capture the feeling of having this beautiful place to yourself. I hope to return to this topic in future posts. 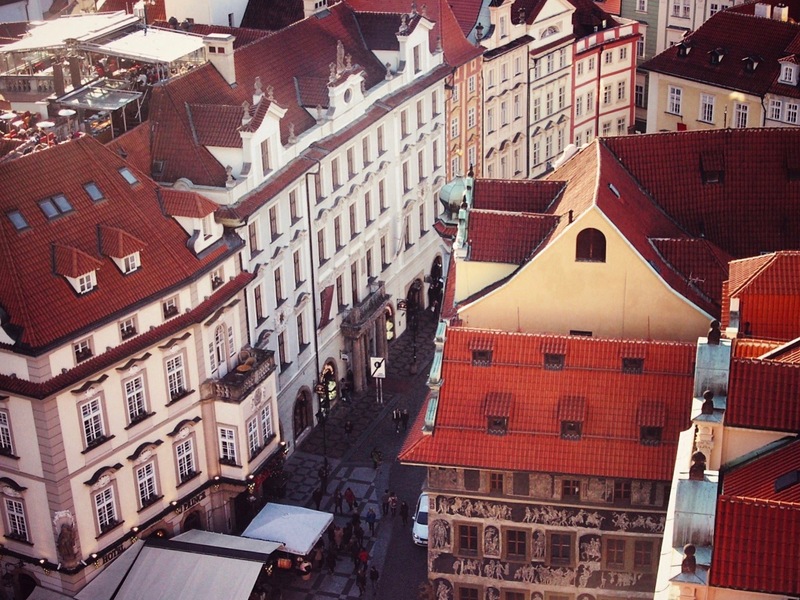 My daughter spent the fall semester in 2017 in Prague as an exchange student and fell in love with the city. We were fortunate to visit in November and completely understand the appeal. It is a gorgeous, safe, clean city full of history. Your pictures are beautiful and we cannot wait to go back. I know she aspires to move to Europe after graduation. I am local from Prague (born and raised) and I’ve worked in a hotel in the city centre for past two and half years. I can see that the changes done because of tourism are more for worse than better. It feels like the tourist have completely stolen the city centre from us, going there is mostly a punishment because of the crowds, the drunks, the tourist traps and prices. It’s so much worse than I remember it from the past and it makes me sad to see my hometown, our dearest heritage, being sold to the tourists who have little to no respect for our tradition, history and laws. Finally, this is the law of supply and demand. Czechs are not stupid. In front of the massive influx of tourists, they are ready to sell them anything pretexting that it is typically Czech. If tourists are stupid enough to be mowed like sheep without complaining, so much the better. Tourists have only what they deserve : to consume without thinking, and to be considered as idiots without culture or respect.